Every good TV show has its share of fan favorite characters who everyone waits to see appear on screen. Some of these fictional characters are real enough that viewers can relate to everything they go through. Many TV characters are made to fit with stereotypes in the society, and one such stereotype that has gotten its fair amount of representation over the years is the nerd. Nerdy characters have showcased exactly what it takes, how it feels and how it is to be a nerd. From their unmatched intelligence, general awkwardness and poor skills when it comes to dealing with other people, there has been iconic nerd characters who are hard to forget. Below we’ll look at the most iconic of them. Hermione shows the kind of extremes nerds go to in order to make sure that they do not miss out on any academic advantages to be gained at school. Then she shows how they’ll raid the library in the faith of finding solutions for any problems they might be facing in their lives, and those of their friends. She’s as dedicated to her friends as she is to her classes, and her friends know it too. She’s one of the few nerds who are actually appreciated for their brains by those around them. With an obsession with science fiction and absolutely no interest in girls, George McFly who was played by Crispin Glover in Back to the Future had his place earned as the social outcast. This in the 50s, showing that nerds have been around for a long time. He’s the typical nerd with every little aspect of his life revolving around his scientific obsessions. Revenge of the Nerds brings a different generation of nerds to the screen. Not the outcasted, downtrodden nerd who remains that way the entire way. Lewis Skolnick is that nerd who’s rejected, as usual, but who manages to rise above this using his intelligence. And yes, he’s a full blown nerd with his glasses, whiny voice and pocket protector. Urkel is one of those nerd characters who portrayed the changing attitude towards nerds in the society. 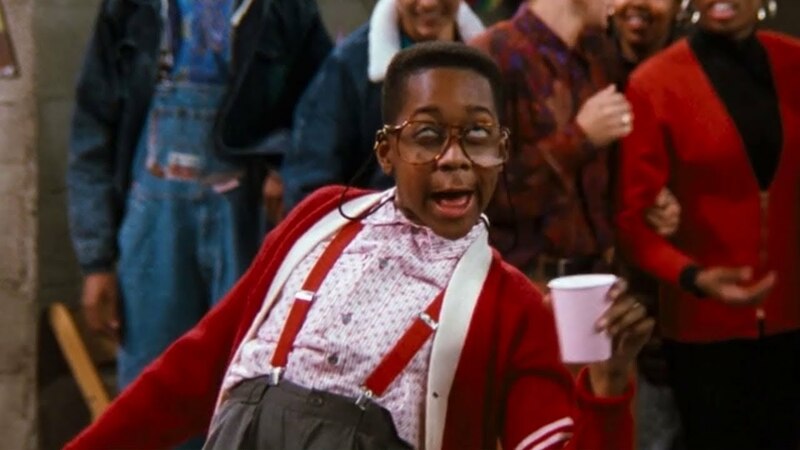 From a time when they were simply labelled as outcasts in the society, they’re now appreciated, and in Urkel’s case everyone loves him for the confident, smart and lovable guy he is. His wardrobe too had ‘Nerd’ stamped all over it with his high suspended pants, thick glasses and multi-colored sweaters. Most nerd characters show all the surface traits that everyone recognizes in a nerd, but not all of them go to the depth of exploring the pressure they go through daily. In The Breakfast Club, Brian talks about the struggle of keeping up with his parents’ and teachers’ expectations. This scrapped that notion that nerds had it easy especially at school thanks to their intellectual abilities while in truth they were also tormented by fears of failure.